We have designed a speical stand to replace the pencil, for hands-free demonstration. 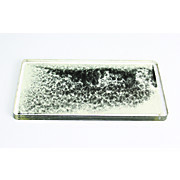 Magnets are in plastic cases, to reduce breakage. 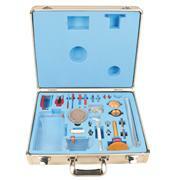 Set contains 5 brightly colored magnetic rings, and the plastic stand, in a cardboard storage box. Excellent model, complete with Teacher Activity Guide which demonstrates LaPlace's law (also Flemings Left Hand Rule) What it shows is that a conducting material with electricity going though it is surrounded by a magnetic field and if placed in a magnetic field it'll result in a moving force. 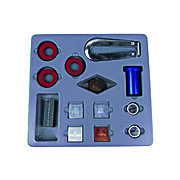 Set of 4 powerful alnico magnets with keepers. 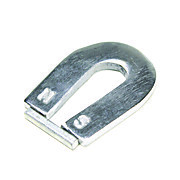 Set consists of 2 bar magnets 80mm x 15mm x 10mm; a small horseshoe magnet 25mm tall x 8mm wide; and a large horseshoe magnet 35mm tall x 15mm wide. Shipping dimensions 4"; x 4"; x 1"; shipping weight 375 grams. 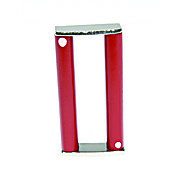 This magnet is generally fed to cows to attract metal particles they may have ingested while grazing. 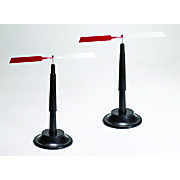 Students can use it in the classroom for magnetic field demonstration and other interesting experiments. 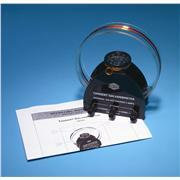 4"; Magnetic needle on plastic support with a brass pivot. 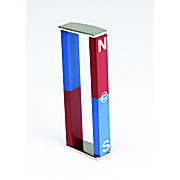 Strong steel magnets, zinc-plated with North and South poles marked. Supplied with keeper. 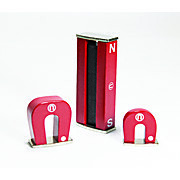 Strong Alnico 1 Cylindrical Magnets, shipped in pairs, with separators and keepers. 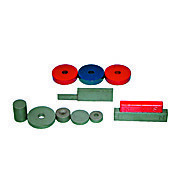 We offer a variety of economical ceramic bar, disc, and ring shaped magnets. Magnets are upainted, except where noted. 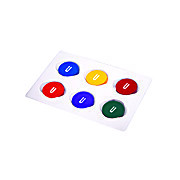 A set of colorful ceramic disc magnets, in six primary colors. 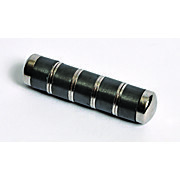 Magnets are 25mm in diameter. 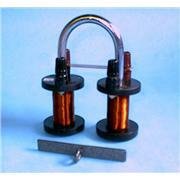 A U-shaped electromagnet having two removable excitation coils, armature with hook, and terminals mounted at the top of each coil. Overall length approximately 13cm. Instructions included. 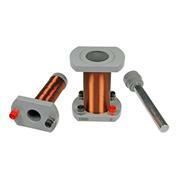 Operating on 1.5 to 6 V DC, this electromagnet lifts up to 3.5kg. 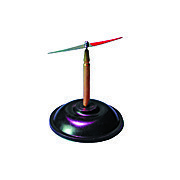 A current direction indicator is included for the study of the magnetic field. 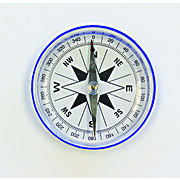 This magnetic compass is extra large (90mm diameter), comes in a bright color plastic case, with a clear plastic top. Shipping weight: 2.0 oz. Dimensions: 4"; x 4"; x 1". 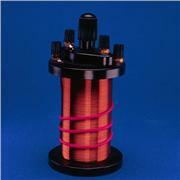 The unit is used to study electromagnetic induction and transformer principles. The outer coil is 3.25" h x 2.75" d, the inner coil is 3.75"h x 1.25" d. The removable steel core is 4.5" h x 0.5" d. The coils are wrapped with 20 gauge magnet wire and fitted with insulated binding posts. Instructions included. 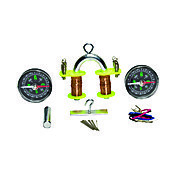 This apparatus allows students to study the magnetic field around a wire. 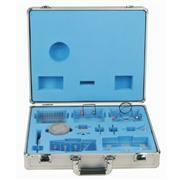 Heavy brass wire with terminals is arranged on a calear plastic base. 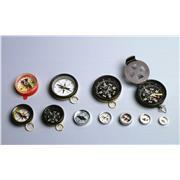 Also included are 1 each 45mm comlpass, and 6 each 16 mm compasses and an activity guide. 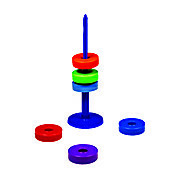 Red and Blue Plastic covered bar magnets. 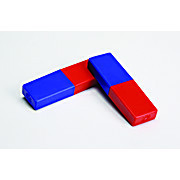 These magnets are attractive as well as an easy way to teach magnetic attraction and repulsion. 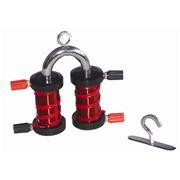 Support for bar magnets or friction rods. 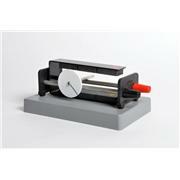 Allows magnets or friction rods to hang freely and turn in a horizontal plane. 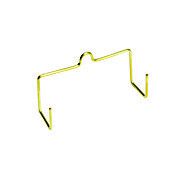 Hooks are 89mm apart. 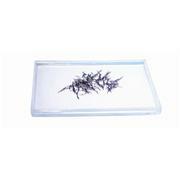 Iron fillings sealed in a transparent plastic cast that measures approx. 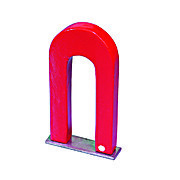 Strong alnico magnet with a magnetic pole on each end. 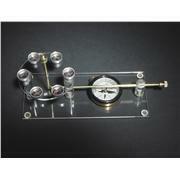 It can be used for magnetic field demonstrations and a variety of other lab experiments. 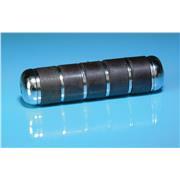 Magnet is 7.5cm long, 1.25cm in diameter, and weighs approximately 100 grams. 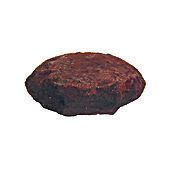 A natural rock that contains traces of iron ore with natural magnetic properties.